Who are the Wine and Spirits Education Trust? The WSET has been educating wine professionals and enthusiasts since 1969. They have since grown from their home in London to a worldwide network of Approved Programme Providers. They currently operate in 72 countries, 19 languages and had a record 94,822 students sit an exam in the last academic year. The Awards are globally recognised and an invaluable asset for those in the trade. The WSET is a dynamic and forward thinking organisation, which aims to be the foremost wine education organisation in the world. In 2015, they were awarded The Queen’s Award for Enterprise, for their achievements in reaching international markets. Qualifications range from the Level 1 Award, teaching basic knowledge of wine and wine service; to Level 4 Diploma, an intensive two year course combining detailed wine knowledge, commercial influence and technical expertise. You can visit their website here. The WSET Level 1 Award in Wines is a beginners’ course intended for people who have little or no prior knowledge of wines. It is designed to provide a sound but simple introduction to wines. 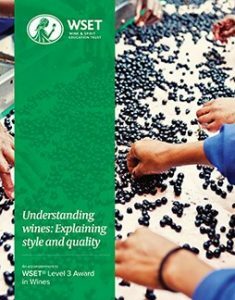 The qualification will assist those who need a basic familiarity with the main types and styles of wines, for example people who work with wines as part of a larger beverage portfolio in the retail and hospitality sectors. You can find the course specification here and view upcoming course dates on the right. Please ensure that you have read the course specification prior to registering. Study time prior to the exam is included in the classroom time. Study materials are received on the day of the course or can be collected in advance by prior arrangement. The Level 2 Award is an intermediate course intended for those who have little or no previous knowledge of the broad range of wines and spirits. It is suitable wherever a sound but simple level of product knowledge is required to underpin job skills and competencies for example, in the customer service and sales functions of the hospitality, retailing and wholesaling industries. It is also useful for those who have a general interest in the subject. You can find the course specification here and view upcoming course dates on the right. Please ensure that you have read the course specification prior to registering. Around 12 hours of independent study are required in addition to classroom time. Study materials are received on the first day of the course or can be collected in advance by prior arrangement. The WSET Level 3 Award in Wines is an advanced course designed to give a thorough understanding of the factors that account for the style, quality and price of the principal still, sparkling and fortified wines of the world. The qualification will assist those who are required to make professional evaluations of wines with regards to their style, quality and price. The qualification provides the in-depth product knowledge required to underpin job skills and competencies, for example in product selection in the retail and hospitality sectors. You can find the course specification here and view upcoming course dates on the right. Please ensure that you have read the course specification prior to registering. Around 50 hours of independent study are required in addition to classroom time. Study materials must be collected after registration. 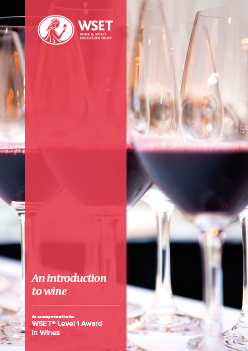 Included in course fee: workbook, examination fee, certificate and all tasting samples. Entry requirements: None. Students are not required to have passed Level 1 to enroll for Level 2. Included in course fee: textbook, workbook, examination fee, certificate and all tasting samples.